Do you ever have one of those days, when you just want to pack your bags and RUN.... 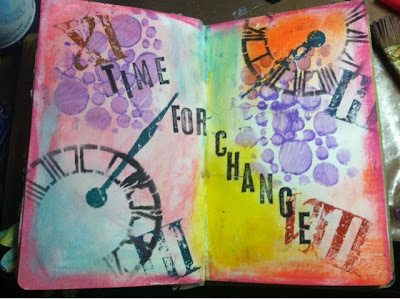 Instead of running away, I try and run to my studio and play in my art journal. I love running away to my studio! I do it as often as possible. Thanks for sharing your cool page.